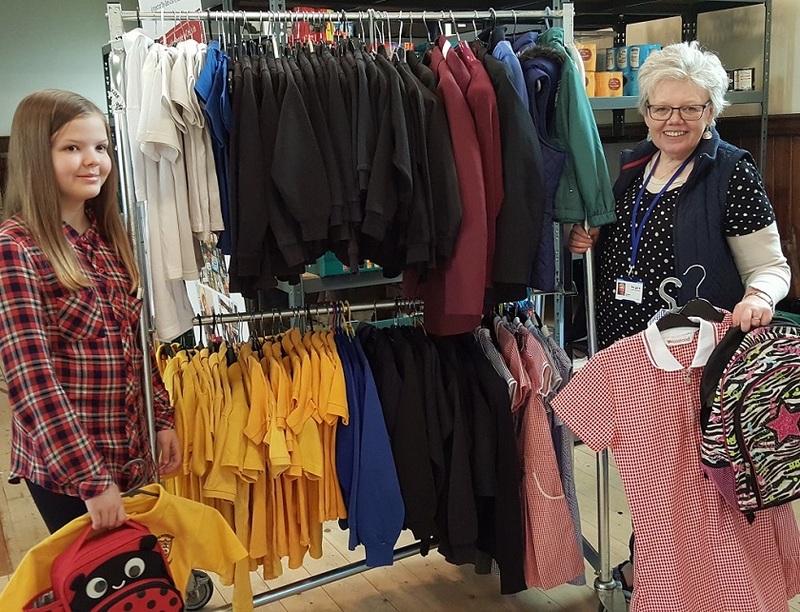 We would like to say a huge thank you to everyone who donated school uniforms and equipment to support our Annual School Uniform Bank 2018! We have been overwhelmed by the support, especially from a gentleman who spent £135 on new school bags and Tesco customers who donated new clothing to support vulnerable children within Clackmannanshire. We provided 318 children with uniforms and equipment such as stationery, school bags and lunch boxes in partnership with MSP Keith Brown and Councillor Ellen Forson. The local Yorkshire Building Society were also a great support towards the end of the project. Staff from the local office provided great assistance to help us with the big “clear up” after the project ended. We could not have operated this project without the valued support from the community who donated clothing and our valued team of volunteers who supported the operations before, during and after project ended. THANK YOU!